Featuring Chris Klimecky on all instruments and vocals. Chris Klimecky is a native of Michigan who is a multi instrumentalist and producer. After playing in prog-rock band Jester's Crown and making some albums with them, he struck out on his own and released his first solo album 'Marooned' in 2001. After spending time working as a producer and starting a family, he released a second collection of songs, 'Bankrupt Generation', in 2012. 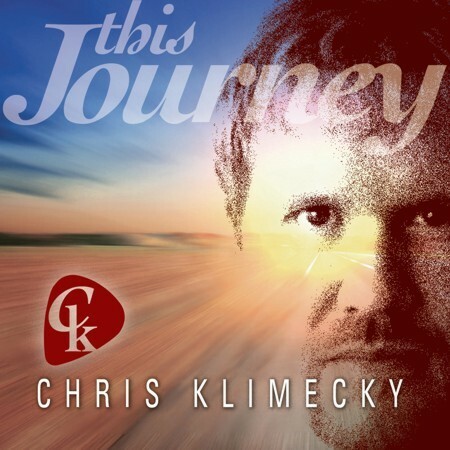 Taking over the Songwriters In Seattle non-profit organisation gave Chris a major boost of inspiration, leading to his new album 'This Journey'. Describing it as "the realisation of a rock sound I've had in my head for the last 20 years", 'This Journey' once again features Chris on all instruments and vocals. The sounds is a contemporary one and with a powerful production. 'Arrival' features plenty of guitars to the fore and plenty of energy, but unfortunately Chris' voice is not to my taste which means the odds are against him getting a rave review. While he's competent enough, the timbre and tone of his vocals do nothing for me. The powerhouse title track holds some promise but loses me when it changes tempo in the final third - almost turning into a different song. The darker 'Sunshine And Misery' starts better but its alternative chorus is again not right for me. And so the pattern goes on - there are certainly moments of quality on this album. 'Energy' has a driving guitar part but again the chorus doesn't suit my tastes. The playing and production of the album is absolutely fine, no complaints there at all, but the contemporary rock style and vocals are just not compatible with my usual musical preferences. None of that is Chris' fault, and I'm sure there are others who will get a lot more from this record than I did, as it did not tempt me to stray far from my musical comfort zone!